BECU ($17.9B, Tukwila, WA) turned out a stellar performance in asset quality for fourth quarter 2017. At 0.26%, the big credit union's delinquency across all its loan products bests the 0.84% Callahan & Associates is projecting for the overall industry based on 99.1% of assets reporting fourth quarter data. BECU’s auto lending portfolio has expanded 99.4% since the fourth quarter of 2012. 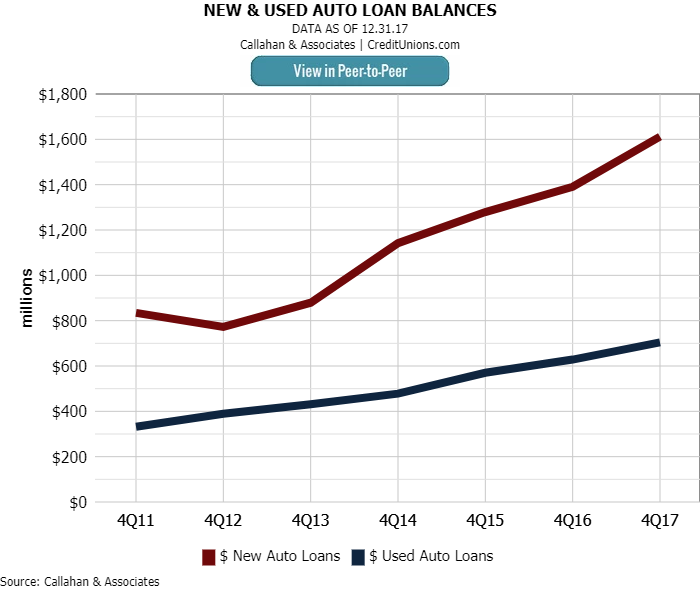 In the past year, it posted double-digit growth of 15.9% and 12.0% in new and used auto loans, respectively. Despite rapid balance increases, BECU has been able to control asset quality. The credit union ended 2017 with total auto loan delinquency at 0.17%, 53 basis points lower than the projected industry auto delinquency rate. 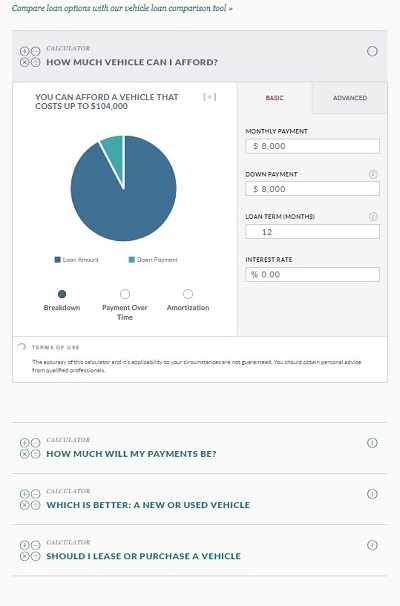 These tools allow members to calculate loan affordability and the best course of action before ever talking to a representative about an auto loan. 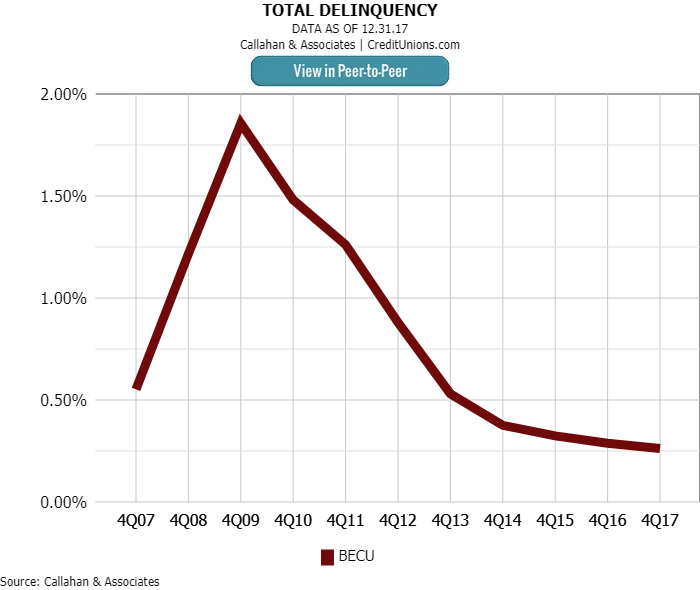 Auto lending is not the only place BECU is beating industry averages. At year-end, the Washington cooperative reported a credit card delinquency of 0.25%. 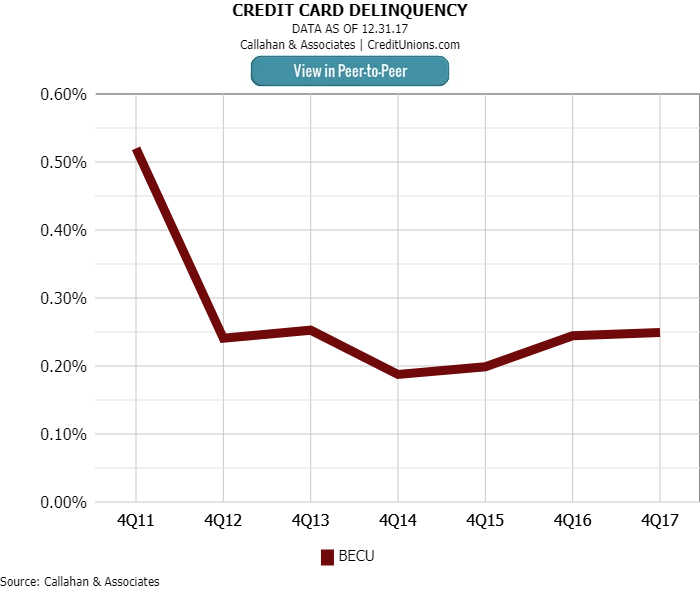 Credit card delinquency for the entire industry has been on the rise since 2013, and Callahan projects it will hit 1.29% in the fourth quarter. In tune with the credit union movement, BECU rewards members who actively pursue financial health. Its repricing program automatically lowers rates for eligible members who have improved their credit score. Programs like this provide an incentive to stay current on credit card loans and reward members who are timely on their payments. Innovative loan offerings and financial education tools help BECU excel. The cooperative shows members how they can earn better rates and achieve financial freedom. In turn, members repay their debts in a timely manner.